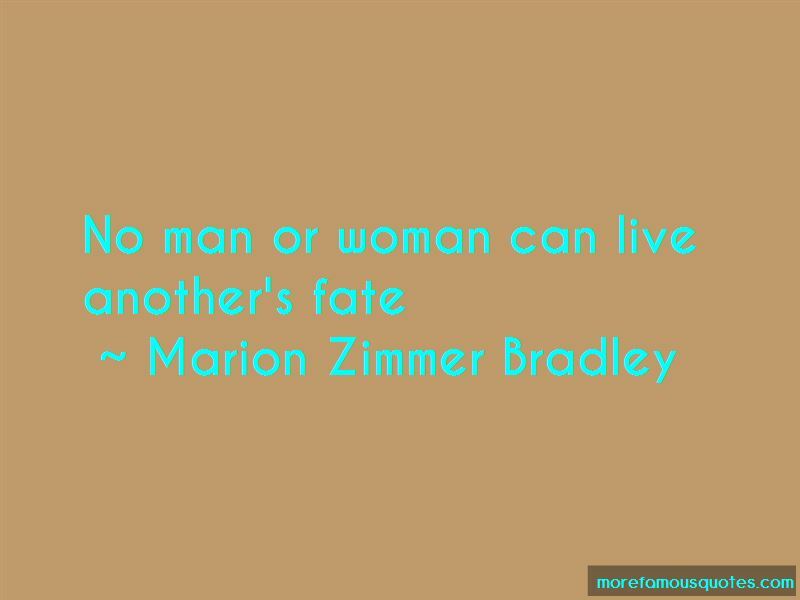 Enjoy the top 128 famous quotes, sayings and quotations by Marion Zimmer Bradley. “Lancelot: Morgaine, Morgaine - kinswoman, I have never seen you weep. And it seemed to her that time stopped, that her body melted into his as if she were without nerve or bone or will, and his kiss was like fire and ice on her lips. I cannot regret it. They tell us in the temple that true joy is found only in freedom from the Wheel that is death and rebirth, that we must come to despise earthly joy and suffering, and long only for the peace of the presence of the eternal. Yet I love this life on Earth, Morgan, and I love you with a love that is stronger than death, and if sin is the price of binding us together, life after life across the ages, then I will sin joyfully and without regret, so that it brings me back to you, my beloved! I suppose all societies adapt their morals to their needs. “But a voice said within her, Now it is too late. 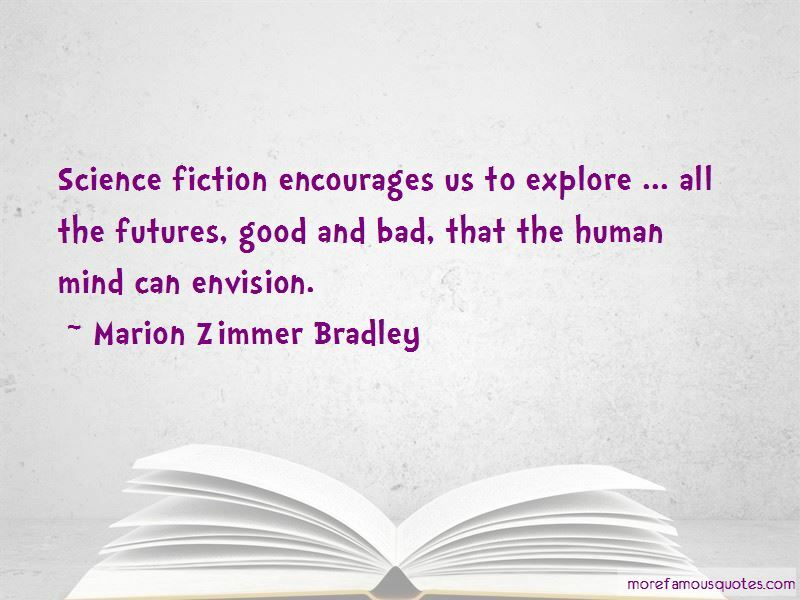 Science fiction encourages us to explore ... all the futures, good and bad, that the human mind can envision. The truth is not so good a story. 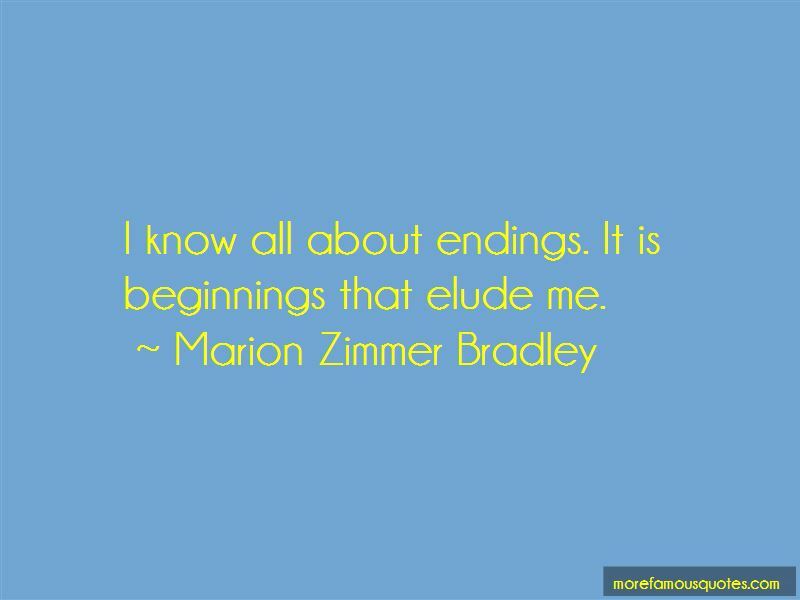 Want to see more pictures of Marion Zimmer Bradley quotes? 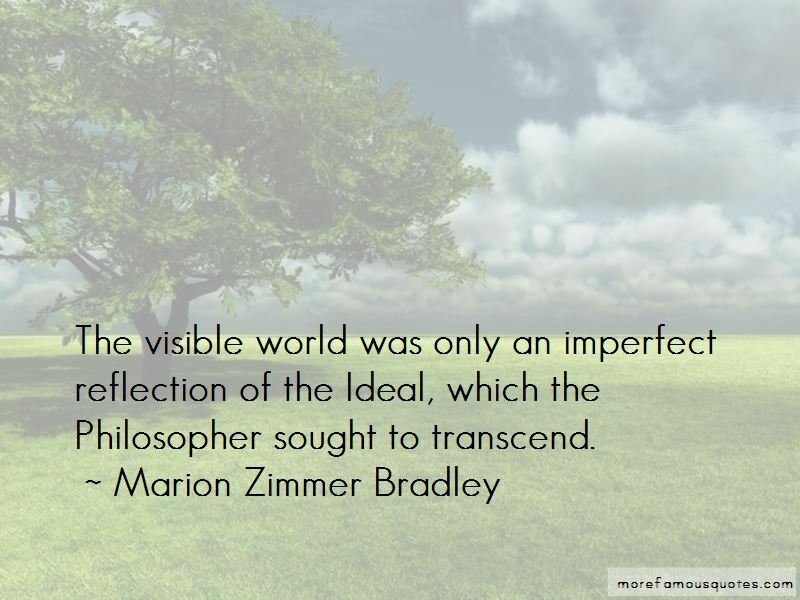 Click on image of Marion Zimmer Bradley quotes to view full size.